In Harry Potter and the Order of the Phoenix, Harry starts a secret student group dedicated to studying Defence Against the Dark Arts at Hogwarts School of Witchcraft and Wizardry. 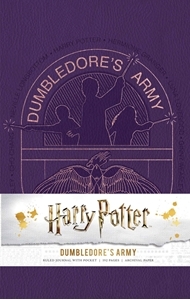 Now fans can feel like a member of Dumbledore's Army with this deluxe hardcover ruled journal. This finely crafted journal--one of several new additions to Insight Editions' best-selling line of Harry Potter journals--displays photography and concept art from the memorable DA scenes in the film, including character snapshots, prop images, and more! With sturdy construction and a sewn binding, this journal lies flat, and the 192 lined, acid-free pages of high-quality, heavy stock paper take both pen and pencil nicely to encourage inspiration. The journal also features a ribbon placeholder, elastic closure, and a 7.5 x 4.5-inch back pocket, ideal for holding photographs and mementos. 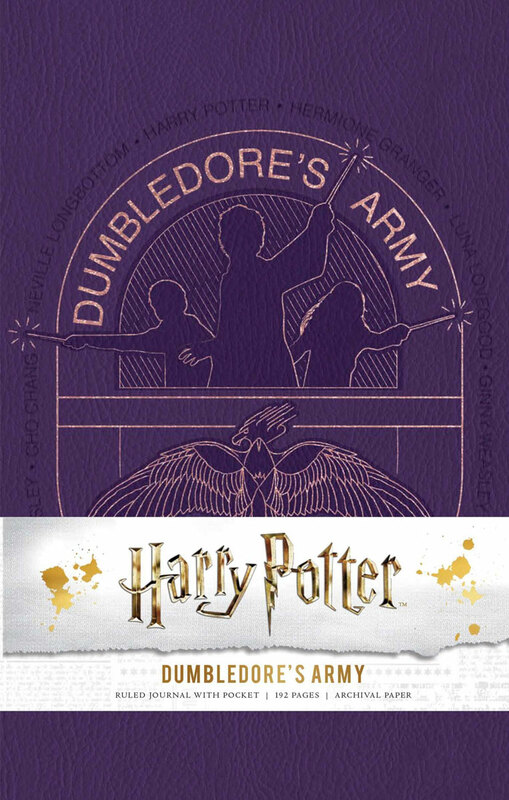 The perfect accessory to the beloved Harry Potter films, the Harry Potter Dumbledore's Army Hardcover Ruled Journal invites fans to bring a magical touch to their everyday writing.